There are times in our lives where we need a little help getting our heads screwed on straight. A “gut-check,” if you will. It’s easy to get bogged down by the constant change of military life. When times are really tough, it’s perfectly normal to want to shut out the world and crawl inside ourselves. Sometimes that’s even warranted; so long as we find a way to pull ourselves out of it. Whether we’re surfing the emotions of deployment, having a PCS identity crisis, or are generally struggling to find a balance amongst everyday chaos, we could all use a little perspective from time to time. In June of 2012, Marine Sgt. 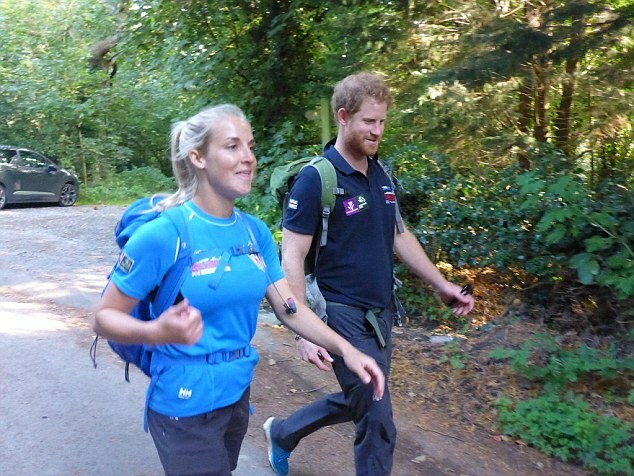 Kirstie Ennis’ life was changed forever. You may have seen her grace the cover of ESPN’s Body Issue, where top professional athletes literally lay it out bare…and I mean that literally. Kirstie is the first veteran ever to be included in ESPN’s coveted magazine edition. So what makes her such a big deal? Well for starters, she only has one leg. 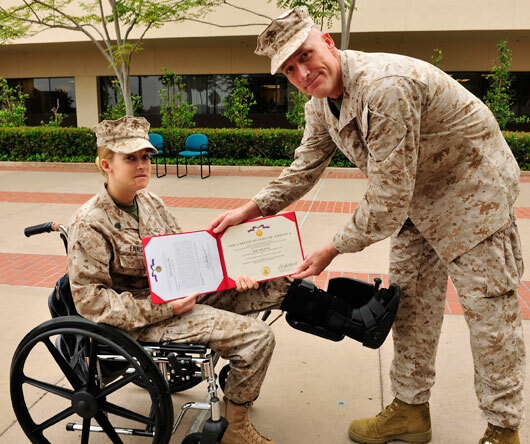 While deployed with her unit in Afghanistan, Kirstie was involved in a helicopter crash. She sustained severe injuries to almost every part of her body resulting in dozens of reconstructive surgeries; including an above-the-knee amputation of her left leg. I don’t know about you, but it’s entirely possible I would have given up right there. But not Kirstie. Her story was just beginning. Through perseverance, grit, and determination, Kirstie threw herself into competitive sports, pushing her mind, body, and spirit to heights even she hadn’t imagined. At a point where others would have accepted their new limitations or allowed themselves to remain depressed, Kirstie embraced her new normal. Aside from becoming the first ever female above-the-knee amputee to climb Mount Kilimanjaro, she competed in the 2016 Invictus games and is currently training to make the 2018 Paralympic snowboard team. She’s done all of this after over 40 surgeries and endless rehabilitation. Her life has changed drastically over the last 5 years, but she chose how it would change. I think we could learn something from that. As military spouses, we frequently experience hardships most people don’t. Many of the challenges we face as a community have impacted our lives greatly, and change our lives forever, too. But we can’t just sit on that, or use it as an excuse to stay down. Sometimes we need a hard-reset and some tough love to stare adversity in the face. Here are four things we can take away from Kirstie’s trials, tribulations, and triumphs. Kirstie laid in her hospital bed, day after day wondering if she’d ever walk again. Her self-esteem took a serious nose-dive (whose wouldn’t?). She questioned everything she knew about herself and was uncomfortable in her new body. She was so used to being naturally good at everything she did and now she was tripping over her prosthetic leg. Like Kirstie, we will struggle to keep our legs from falling out from underneath us. We’ll trip over our own feet when the cards are stacked against us, and sometimes, we will fall flat on our faces. There are no excuses not to get back up. The cards we were dealt and the circumstances we find ourselves in are not what counts. “It’s what’s behind your rib cage and that six inches between your ears that matters,” said Kirstie. Kirstie had to relearn everything. Once she started getting back into physical sports, her confidence began to improve. She pushed past her own limitations and was able to do things with one leg that she hadn’t even tried when she had two! “You push the limits. You break any expectations you had of yourself,” she explained. Military life has plenty of obstacles that can sometimes make us feel confined to being just average. But why should we limit our potential because of this? As a Marine, Kirstie is well aware of the ‘tribe mentality’ and she’s used that to her advantage throughout her recovery. Whether she was competing in team sports or working alongside her military brothers and sisters, Kirstie knew she had to rely on her village to get back on track. “You know damn well the person to your left and to your right has your back no matter what,” she said. Most of us already know that our fellow military families can be our lifeline. When we’re being tested or stuck in a rut, we need to surround ourselves with the people who have our backs…and have theirs when they need it, too. Kirstie used to just roll her eyes at people, but now she enjoys seeing people struggle. Not because she loves to see people miserable but because she knows it will make them tougher. Military life is going to cause us to struggle. At some point in each of our lives, we are going to have trouble with employment, finances, child-rearing, and deployment. There will be times we will want to quit or just do what’s comfortable, and sometimes that’s okay. But it’s not sustainable if we want to grow. We need to get out of that comfort zone and take some risks. “In order to have growth, you have to be uncomfortable,” Kirstie reminded us. Sometimes we all need a gut-check. Can you relate to Kirstie’s story? Share your thoughts in the comment section below.